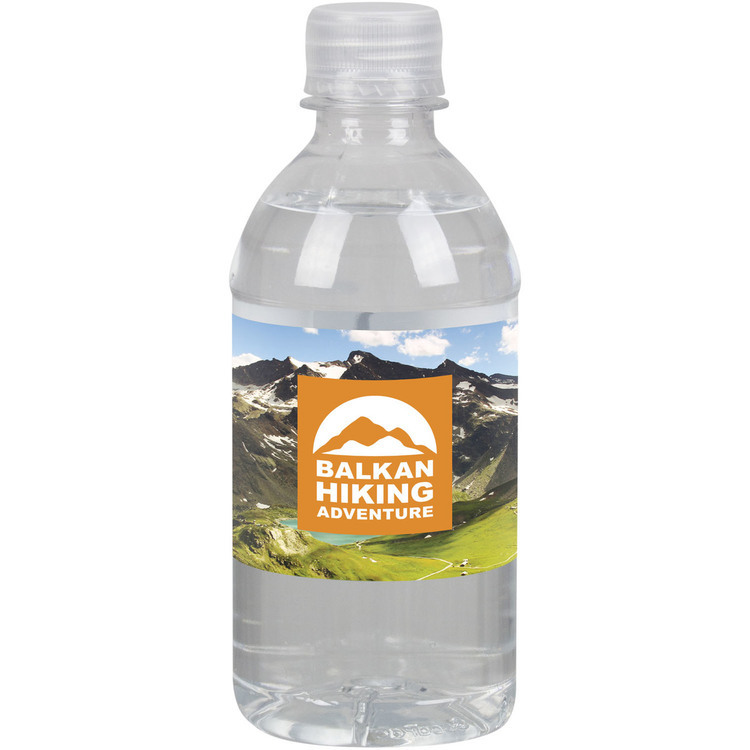 An ideal gift for the health conscious in your life, this 25 oz. 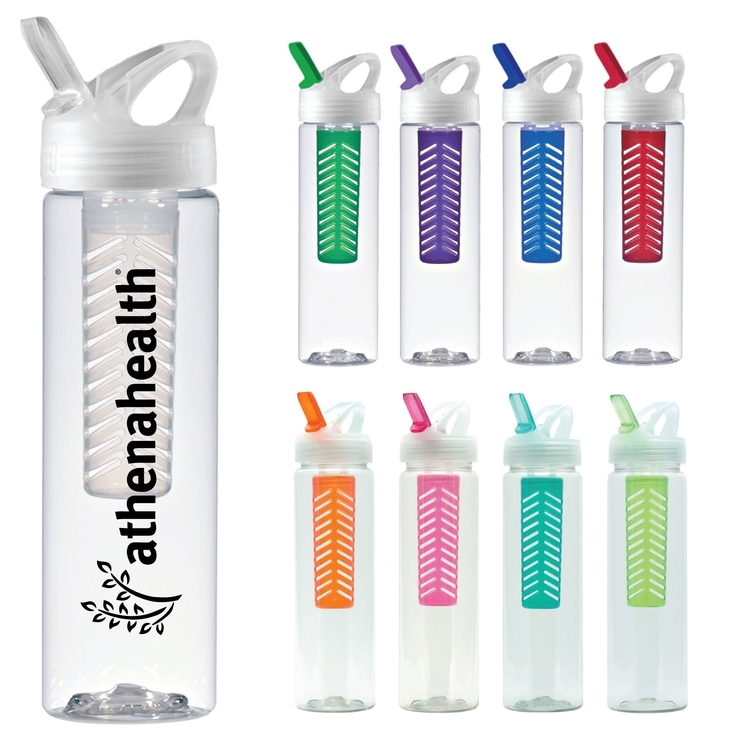 PET sports water bottle features a fruit infuser that's easy to use! Designed to make delicious natural fruit-flavored beverages, the liquid flows around and through the fruit to flavor the drink; simply add your favorite fruit to the inner basket. 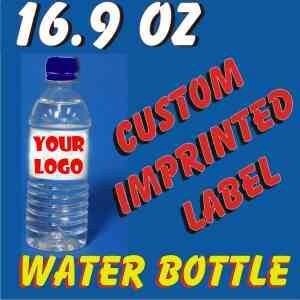 This clear bottle has measurement markings up the side and it's accented by a black lid and colored spout. Sustainable and recyclable, hand wash only, BPA Free Lead Free, HR4040-CPSIA Certified, CA Prop 65 Compliant, Made in the USA, FDA Approved, Do not microwave. 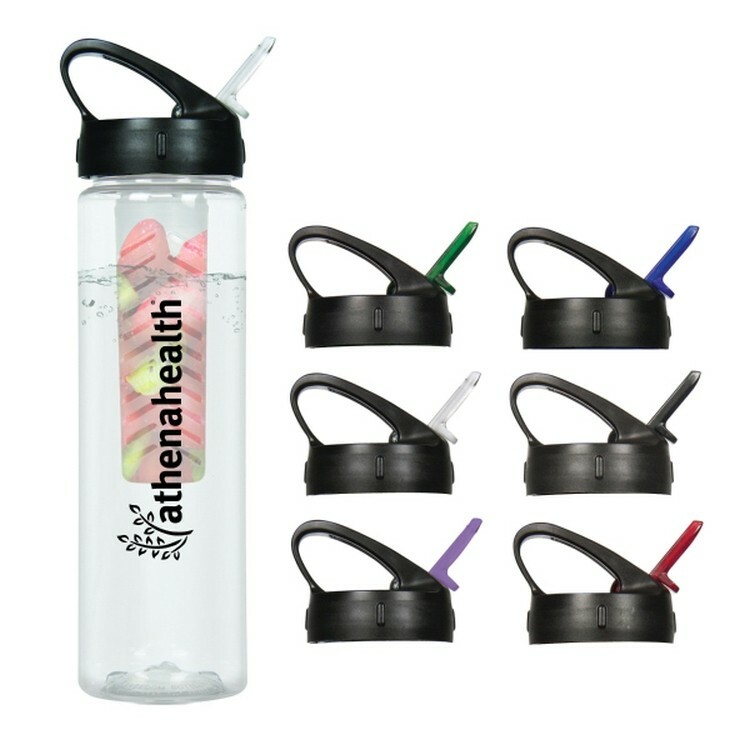 An ideal gift for the health conscious in your life, this 25 oz. 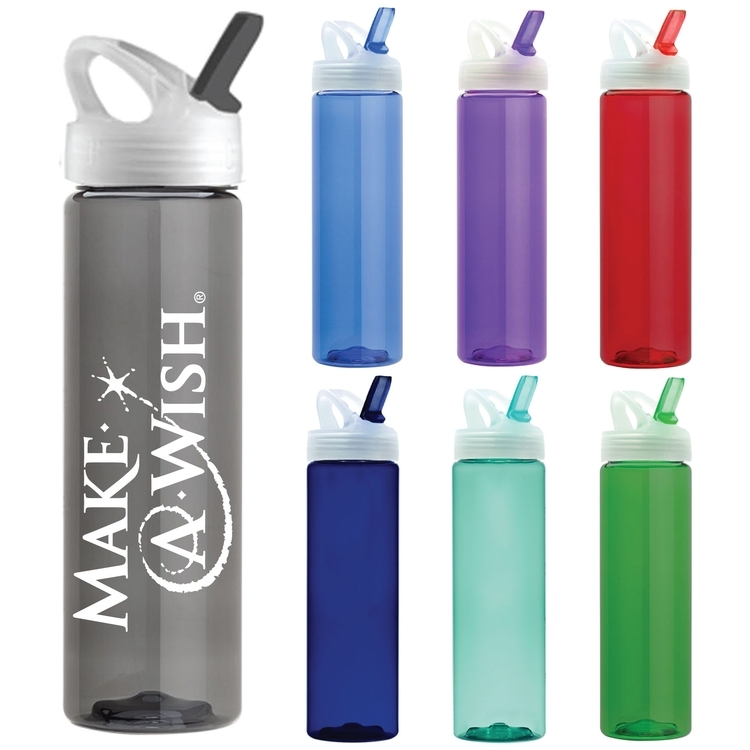 PET sports water bottle features a fruit infuser that's easy to use! Designed to make delicious natural fruit-flavored beverages, the liquid flows around and through the fruit to flavor the drink; simply add your favorite fruit to the inner basket. 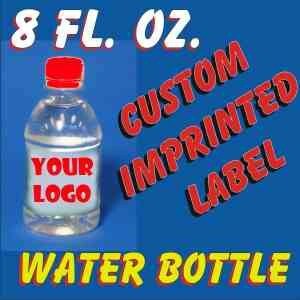 This clear bottle has measurement markings up the side and it's accented by a frost lid and colored spout. 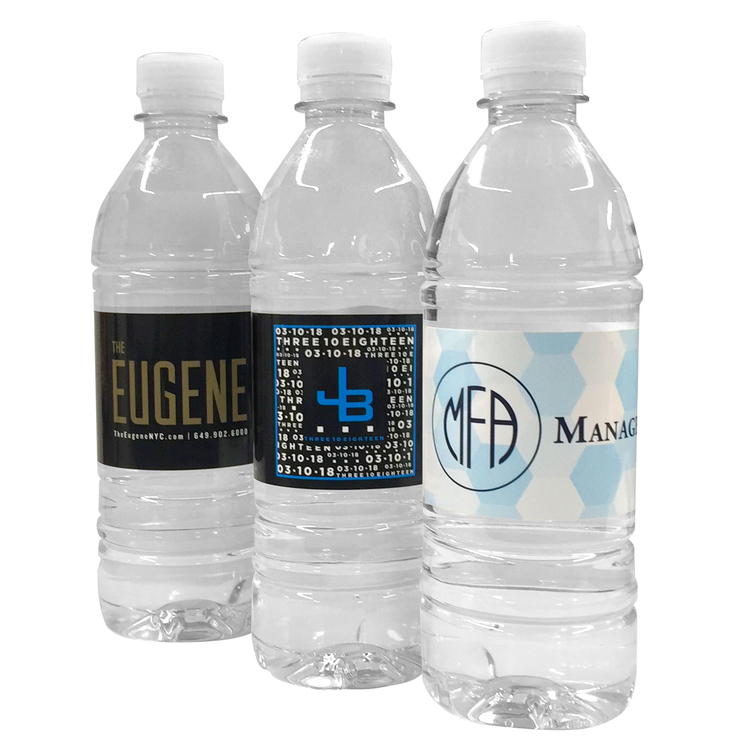 Sustainable and recyclable, hand wash only, BPA Free Lead Free, HR4040-CPSIA Certified, CA Prop 65 Compliant, Made in the USA, FDA Approved, Do not microwave. 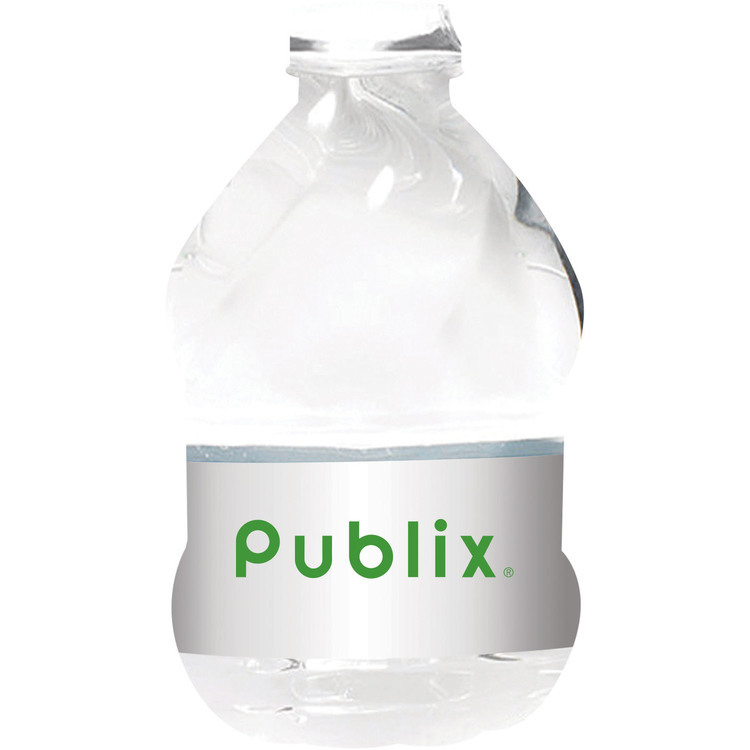 Don't "bottle" up your excitement for this 25 oz.  PET sports water bottle! 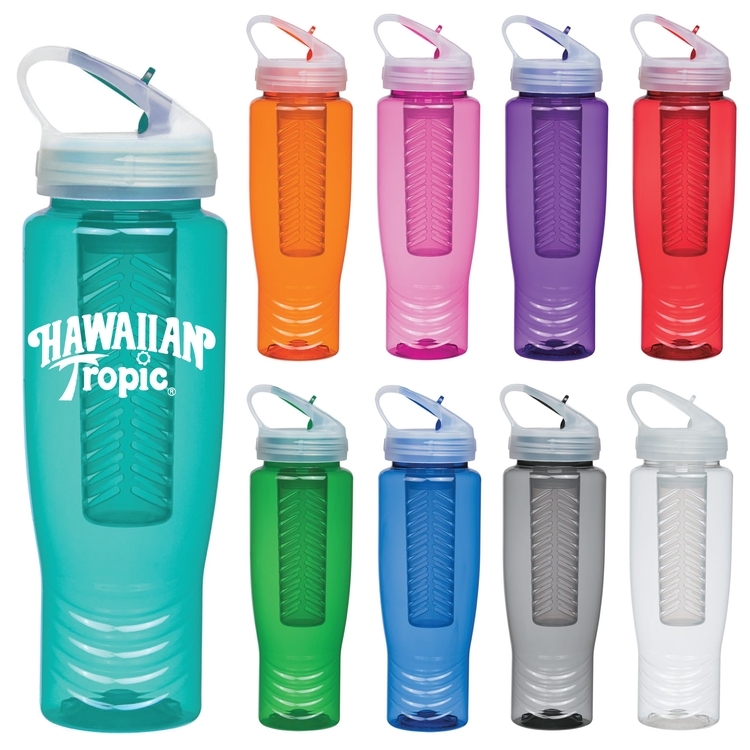 Sustainable and recyclable, it features a translucent body with clear flip-up sipper lid and colored spout that matches the bottle color. Fitting most auto cup holders, other features include measurement markings that go up the side. 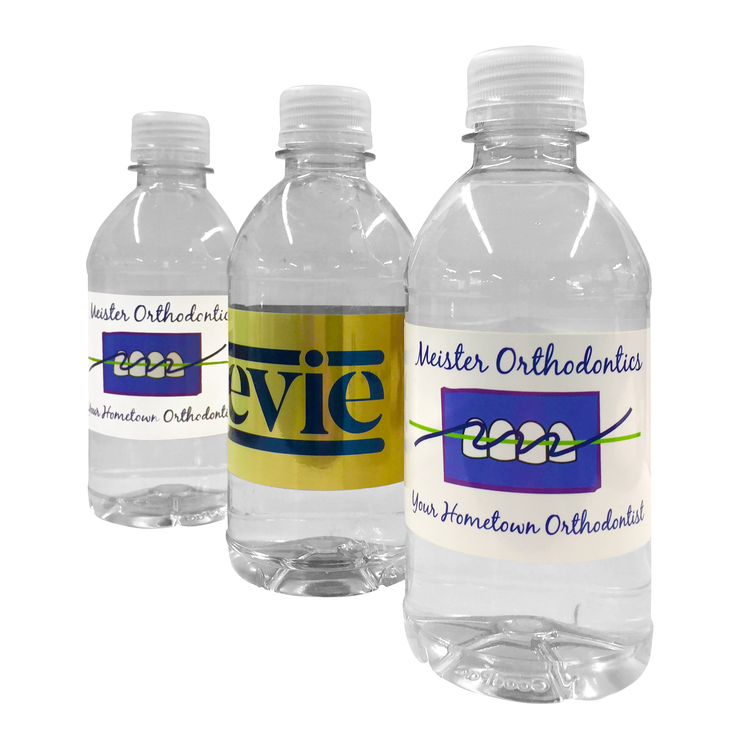 Printed with your logo, this is a great promotion for schools, clubs, teams, leagues, organizations, hospital, fitness facilities and much more! Sustainable and recyclable, hand wash only, BPA Free Lead Free, HR4040-CPSIA Certified, CA Prop 65 Compliant, Made in the USA, FDA Approved, Do not microwave. This eco friendly item is the "clear" choice! 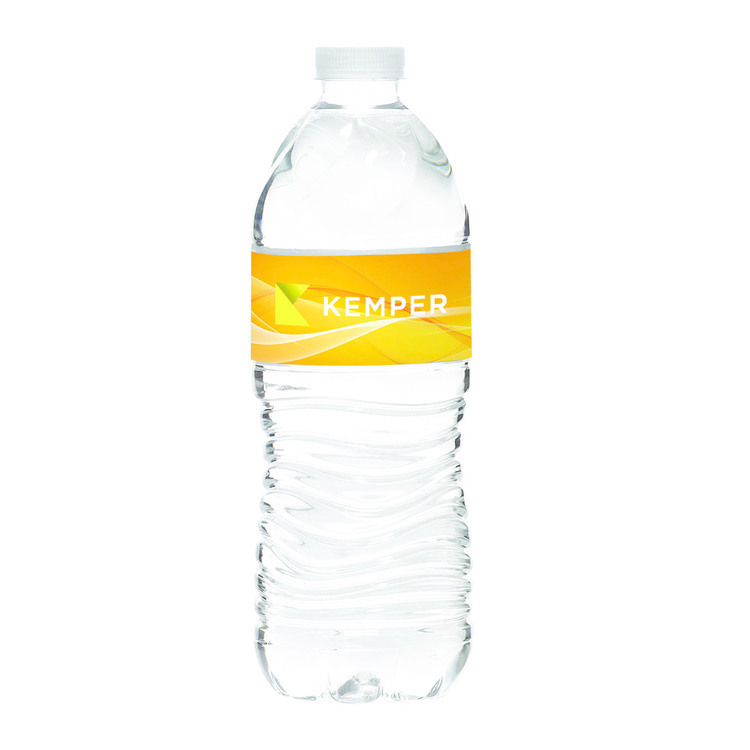 The translucent, 30 oz. 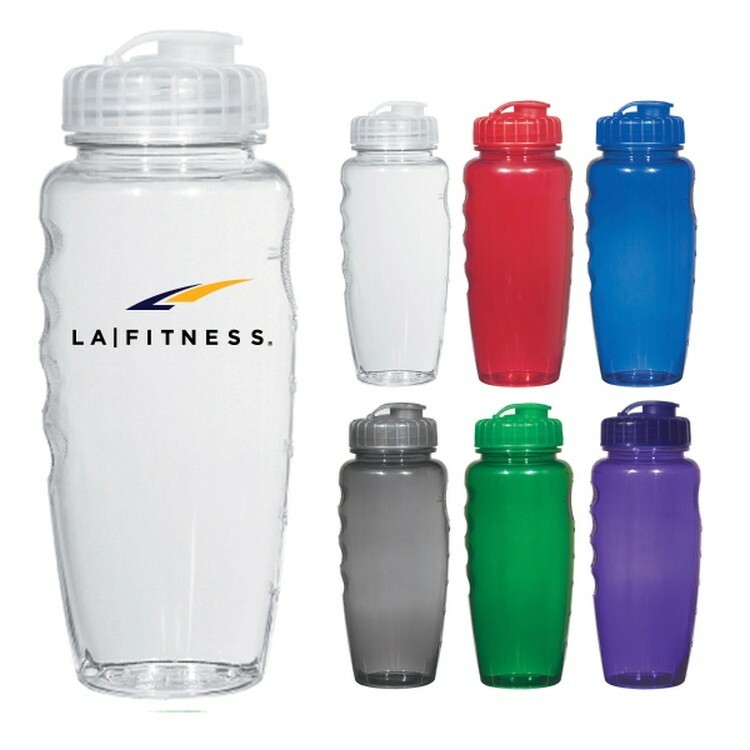 sports fitness water bottle is USA made with PET and has a wide mouth & leak-resistant flip top lid. 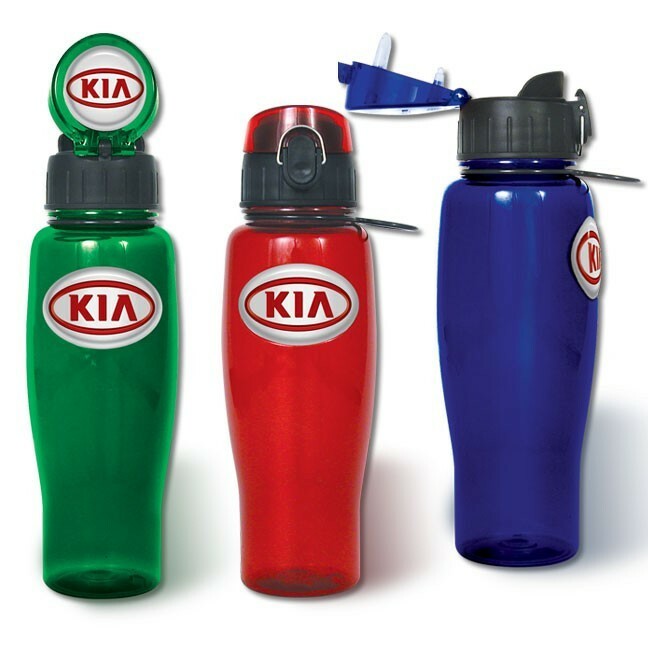 The built in finger grips help prevent the bottle from slipping from your grasp, and it fits most auto cup holders. 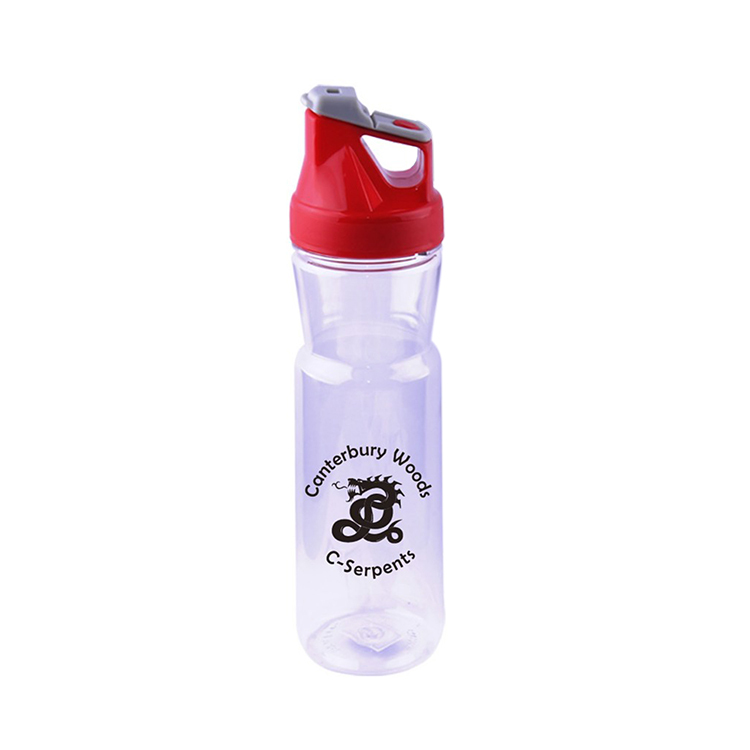 This BPA free bottle is a great promotion for schools, clubs, teams, leagues, organizations, hospitals, businesses, & healthcare or fitness facilities. 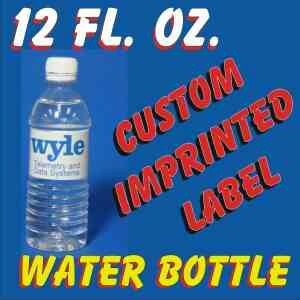 Measurement guide at 4, 8, 12, 16, 20 & 28 oz. Sustainable and recyclable, hand wash only, BPA Free Lead Free, HR4040-CPSIA Certified, CA Prop 65 Compliant, Made in the USA, FDA Approved, Do not microwave. Lids are packed separately and unassembled. Another useful item for taking everything with you on those Saturday morning errand runs. 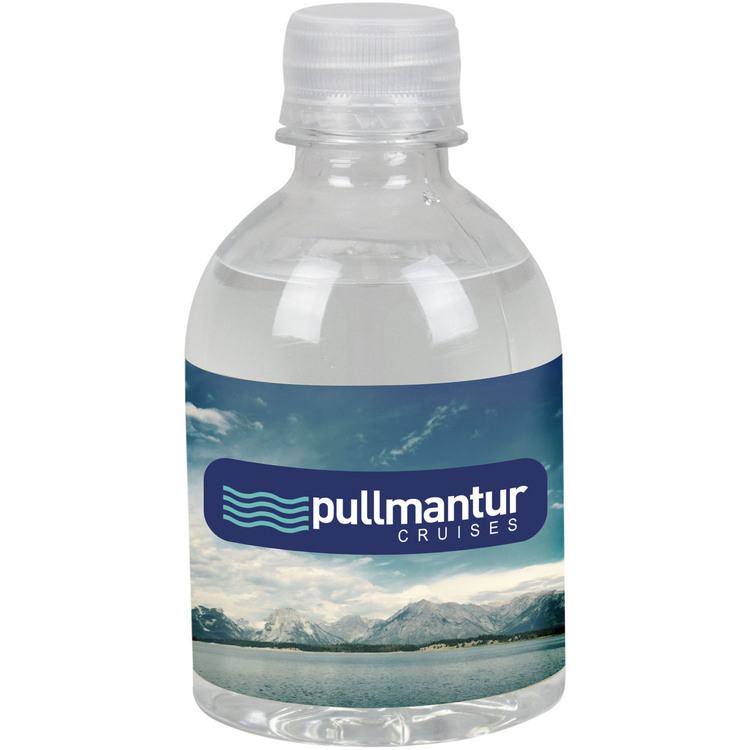 *Bottle is not included. 3 zippered pockets. Lined interior. Water bottle holder. Adjustable waist strap. Material: 420 Denier Nylon. 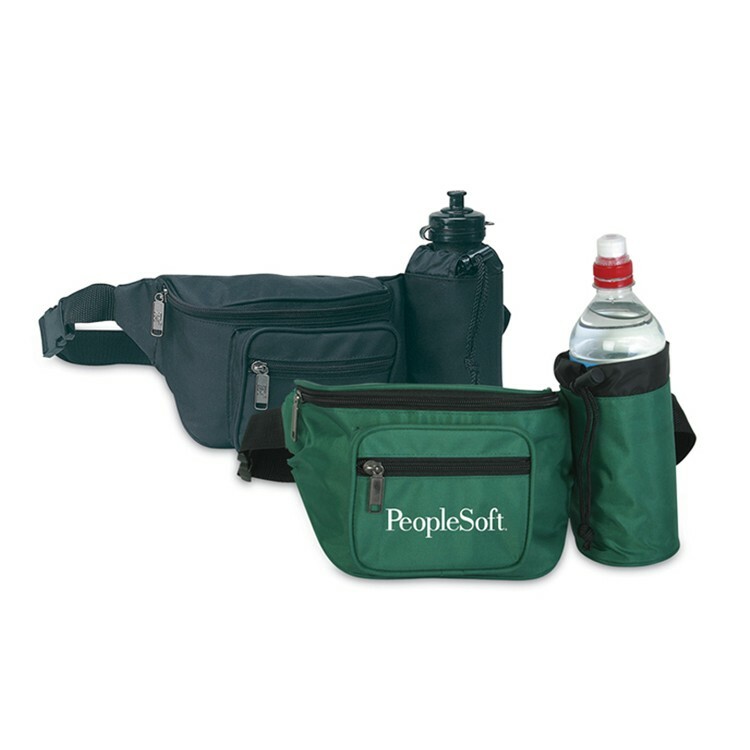 The size of the fanny pack straps can fit up to 50" waist size. 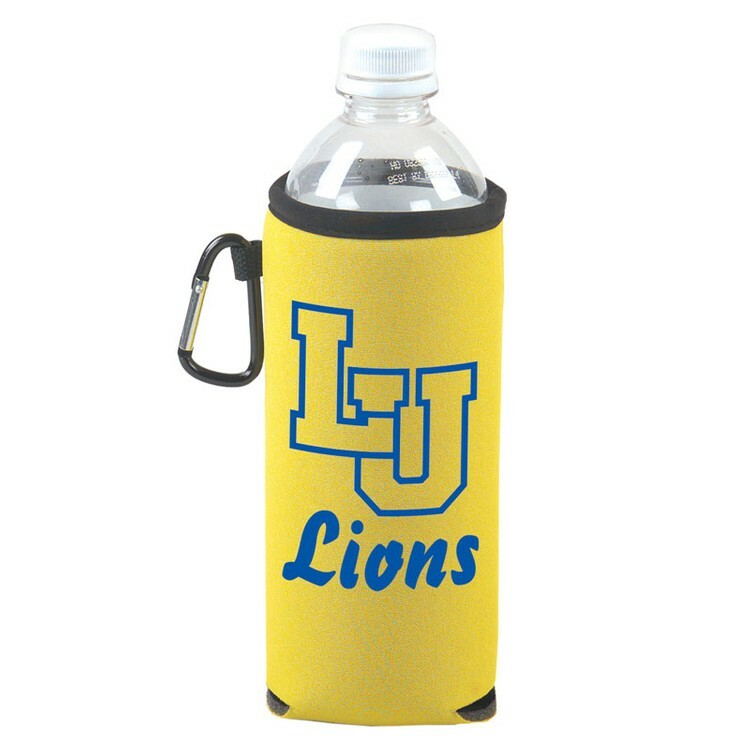 An ideal gift for the health-conscious in your life, this 28 oz. 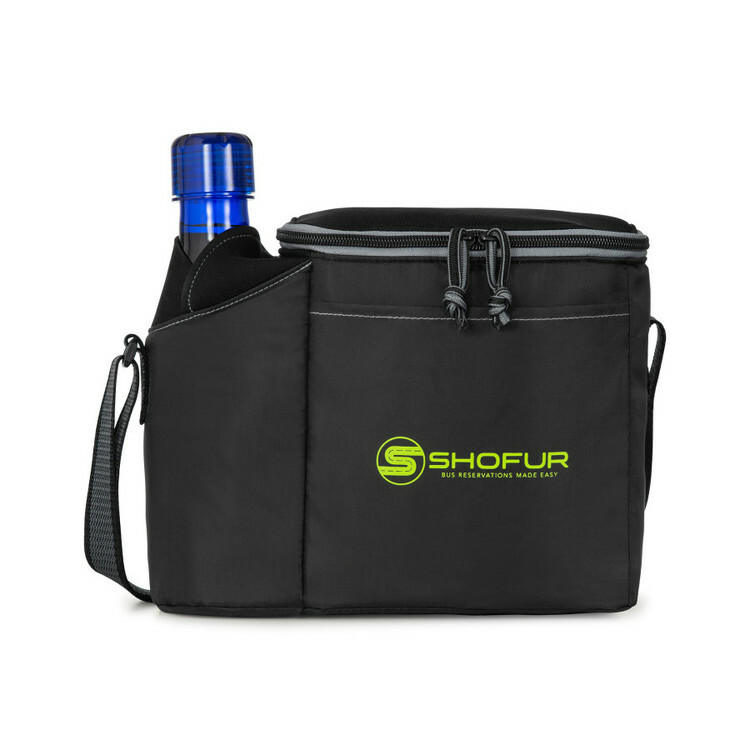 PET sports water bottle features a fruit infuser that's easy to use! 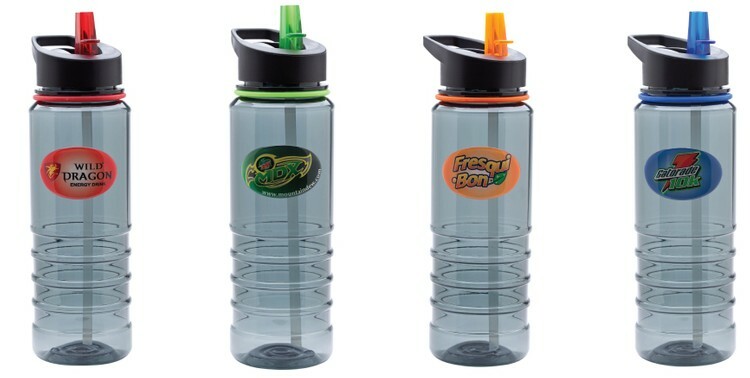 Designed to make delicious natural fruit-flavored beverages, the liquid flows around and through the fruit to flavor the drink; simply add your favorite fruit to the inner basket. 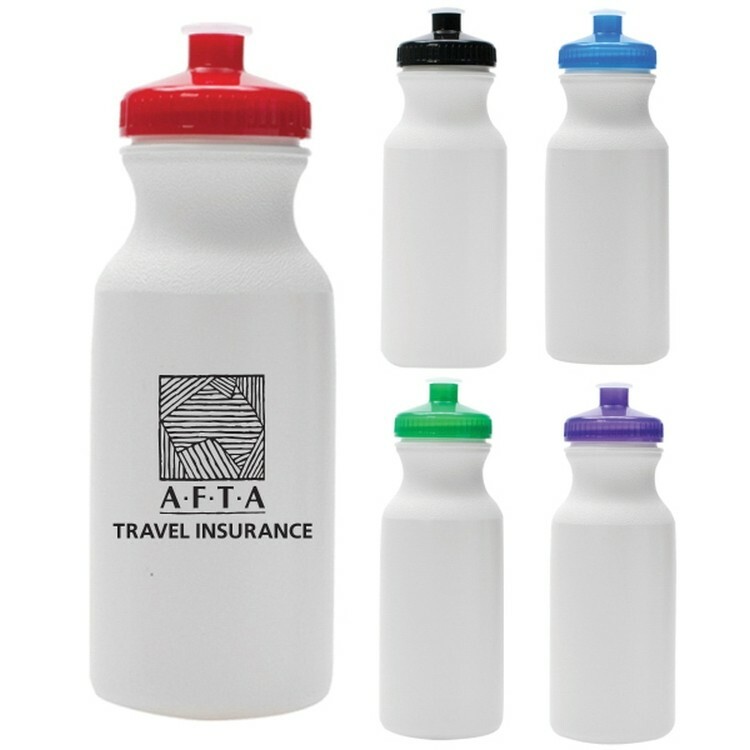 This translucent colored bottle is accented by a frosted lid and fruit basket with matching colored spout. 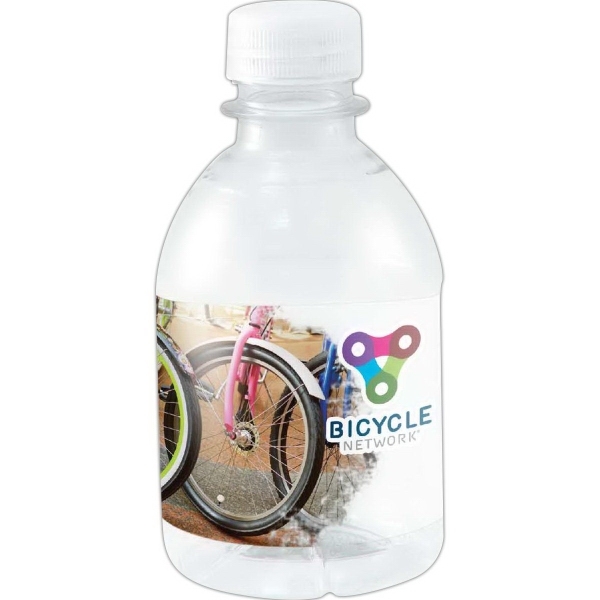 Sustainable and recyclable, hand wash only, BPA Free – Lead Free, HR4040-CPSIA Certified, CA Prop 65 Compliant, Made in the USA, FDA Approved, Do not microwave. 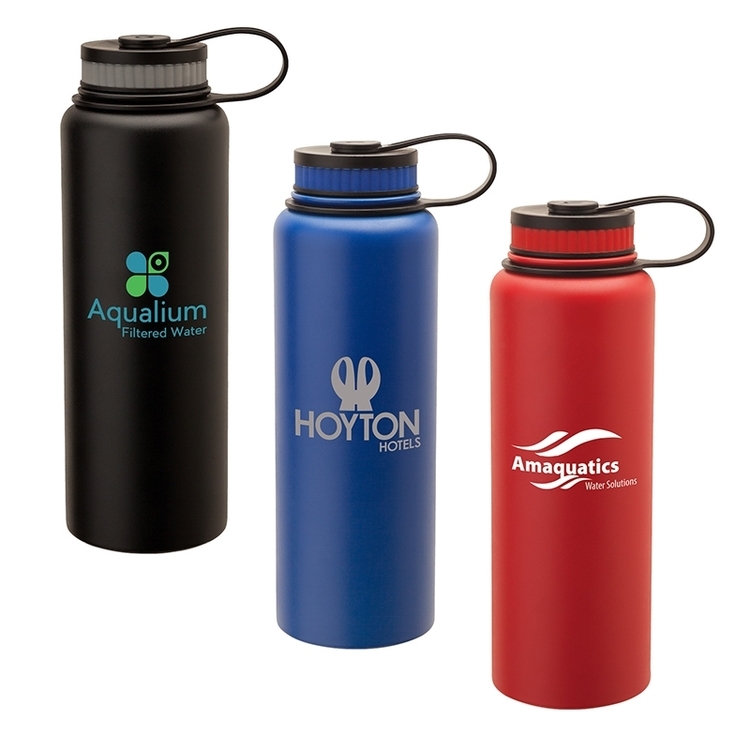 Dome Design 4 Color Process Flip Top Water Bottle Holds 24 oz Translucent Plastic Body Sturdy Loop Attachment for Carabiner Clips Push Button Flip Top Lid with Safety Latch Measurements Embossed on Backside Price Includes Two Location Different Full Color Dome Imprints at No Extra Charge! Colors: Blue, Green, or Red Imprint Area: 2 3/8" x 1 3/8" ; 1 1/4" Round Cap 10-12 Working Days After Approval of Paper Proof Rush Charge: $0.20 (v) Minimum Charge of $45.00 (v) FOB: NY 11516 25 pcs / 11 lbs. 18 1/8" x 13 3/4" x 10 3/4"